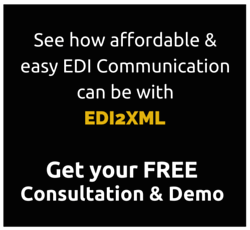 Check out our free, informative guides on EDI Communication as well as on our popular EDI2XML Service. You’ll learn just how easy, quick and affordable it is to become EDI-compliant with our EDI service. Download the documents below! A 1-page paper on EDI Web Service and advantages of using EDI2XML HTTP Service. Interested in our EDI2XML Web Service? 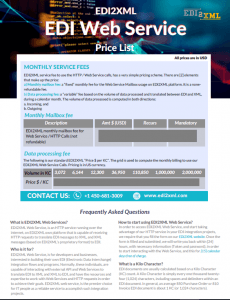 Take the next step to request our EDI Web Service Price List. This price list also includes an FAQ section for information about our EDI Web Service. 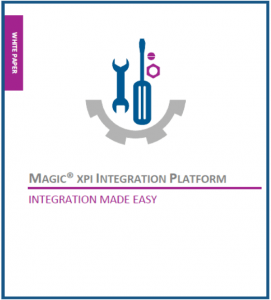 A 13-page White Paper on the Magic xpi Integration Platform. You’ll learn about what Magic xpi is and how Magic xpi lets you streamline business quickly and easily, integrating them across diverse applications, platforms, and databases. 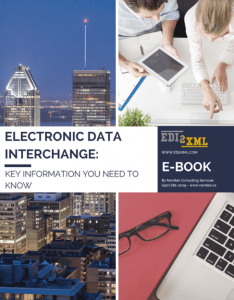 A 10-page eBook on the Key information about EDI. We have revealed in this eBook the functioning of EDI, advantages of using EDI and data transmission. 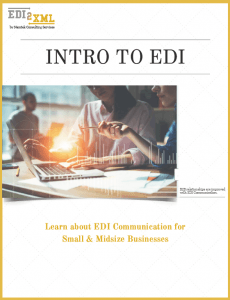 A 13-page guide on the basics of EDI Communication. 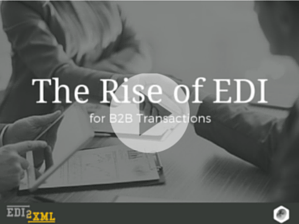 You’ll learn about what EDI is and what are its major components, why it’s so popular amongst businesses, what a typical EDI transaction flow looks like and how to get started with EDI using EDI2XML. A short 22-Slide Presentation on how to use an EDI Translation Service for all your EDI needs. 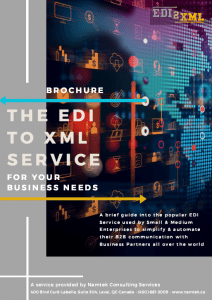 Read our 8-page brochure on the EDI2XML Service. You’ll see what this EDI service covers, how our EDI as a Service and EDI Web Service work and the benefits you’ll realize with EDI2XML. Don’t miss out! 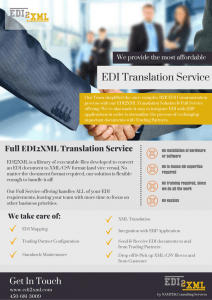 A 1-page paper on EDI2XML’s Full Translation & Communication Service offering. 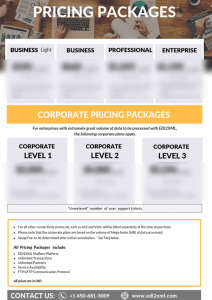 Learn about our seven pricing plans – Business Light, Business, Professional, Enterprise, Corporate Level1, Corporate Level2, Corporate Level3. This pricing package also includes an FAQ section for information about our popular EDI service. 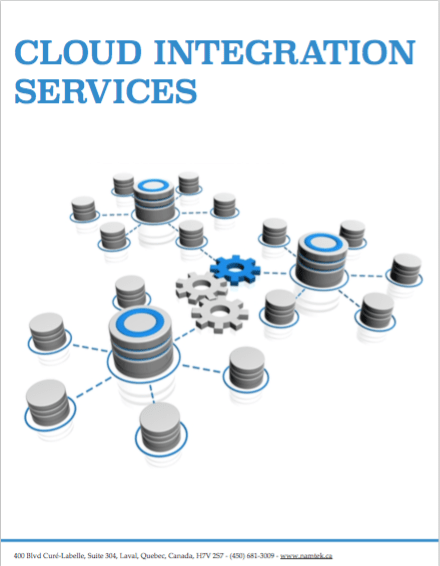 A 3-page Brochure on our Cloud Integration Platform, comprising of our EDI as a Service offering and System Integration Services.